Corredor de maratón. Se supone que el ZenFone 4 Max combina la duración máxima de la batería con una calidad de foto asombrosa. En consecuencia, está equipado no solo con una cámara doble, sino incluso con una lente gran angular. Dicho esto, todo lo que reluce no es (rosa) oro, como descubrimos durante nuestras pruebas de cámara. ASUS ZenFone 4 Max review: Is a big battery enough? If all you care about is battery life, the ZenFone 4 Max may be the phone for you (although even then, you should take a look at the Nokia 2), but if design, display, camera, performance, or features like NFC and 802.11ac Wi-Fi (which honestly should be standard on all phones by now) are at least somewhat important, look elsewhere. The cheapest ZenFone 4 is a perfectly serviceable smartphone with great battery life and dual cameras, all for $200. Unfortunately for Asus, other drawbacks make this phone difficult to recommend over the budget competition. We must say, Asus’ first of the Zenfone 4 lineup has us encouraged. Retailing for $200, competition is plentiful, but the Zenfone 4 Max makes a respectable case for itself. We love how fluid and snappy the device is, throwing in a gigantic battery didn’t hurt either. Better yet, it doesn’t feel like its packing 5000mAh in there judging by its weight, though it most certainly is. While the dual camera has its issues, it is certainly competent for the price point. The display's 720p resolution and washed out colors do make our hearts (and eyes) hurt when viewing anything other than full screen media or relatively large text, but all in all, we’re happy we met you, Zenfone Max 4, and we can’t wait to meet your siblings. The phone market is currently in serious need of a smartphone that can fill the gap left by the Lenovo P2. If the Zenfone 4 Max can deliver on even a fraction of the company’s battery claims, it could be the phone that plugs it. 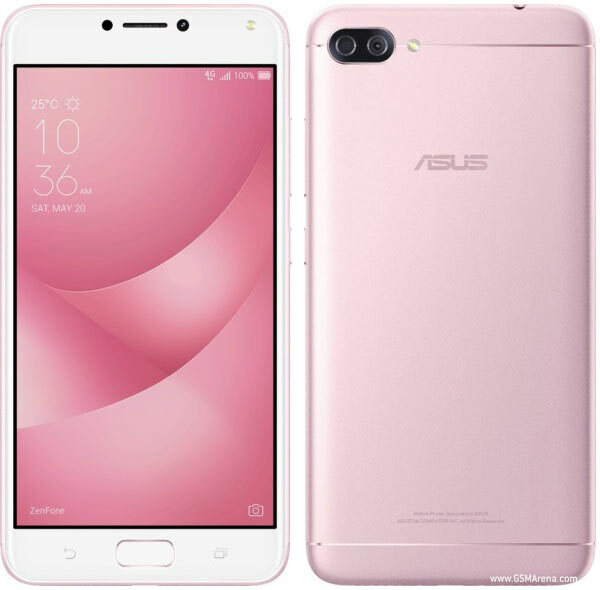 One of the members of the new Zenfone 4 lineup from ASUS is the battery-centric ASUS Zenfone 4 Max. Its main feature is its 5,000mAh battery, but it also packs features that make it a good all-around phone. How much has it improved from its predecessors? Find out in our video review. ASUS has managed to improve their Max line of smartphones with the ZF4 Max. With new camera tricks, a better, sleeker ZenUI interface and legendary battery life, the ZF4 Max is one of the best phones you can buy right now under 10K. The Zenfone 4 Max, is a mix of the old and the new. It has the old Snapdragon 430 CPU, 3GB RAM, 32GB storage, and HD display found in its predecessors, but with a new and more attractive design, dual rear cameras, and larger 5,000mAh battery. With an SRP of Php9,995, the Zenfone 4 Max is designed for users who are looking for a device with features found in more expensive devices but can withstand heavy usage and doesn’t break the bank. ASUS ZenFone 4 Max 5.5-inch Quick Review: Big Battery Budget King? Surprisingly enough, ASUS has toned down the amount of bloatware in ZenUI, their custom interface that’s layered on top of Android Nougat. Instead of more than 20 apps updating when we first setup the phone for our use, the app list has been whittled down to less than 10. There’s far less pre-installed crap on the device this time around, and while we still want a mostly pure Android experience on our phones, this particular compromise is more than okay. 0.181 kg: Este peso es típico de smartphones. 74.78%: Esta evaluación es mala. La mayoría de las portátiles son mejor evaluadas. Esta no es una recomendación para compra.